The fan's blades are swirling as my eyes try to follow their circular motion. It's finally summer, and I now remember heat once again after too many winter months. Stopping. Breathing. Staring. Reading. Watching. Observing. Feeling. Thinking so much that I try to stop thinking at all. My hand rests on the red polka-dot journal that eleven-year-old Deborah clung too like a third lung impossible to live without. Under it rests the tan, flowered journal fourteen-year-old Deborah doodled and dreamed in to her heart's delight. Now, the plain chocolate brown journal with gold-edged pages lies open to the next blank page. It feels that it's more than just another page to fill with words, though. yet I find myself paralyzed. It should feel like freedom. You should be loving to live. Instead I feel immobilized, afraid to do anything in fear of not doing the right thing. I am devoid of all will-power. Where my strength evaporated to, I may never know. Yet, as I skim the jaunty eleven-year-old's handwriting, I am enveloped by a world very similar to mine currently: a world haunted by brutal self-standards, a constant need to do more and not waste my God-given time, and a deep desire to just be myself. 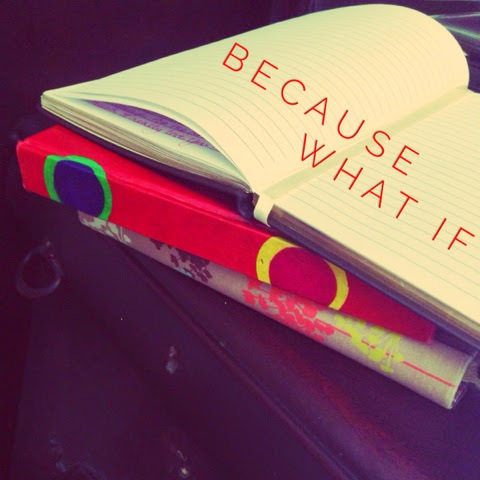 What if we truly learn to live? The self-standards. The fear of failure. The obsession to be right and do right. The mental knots we create that keep us from moving in any direction because we've imagined terrors and failures that will devour us if we move one step. Afraid. Obsessed. Unsure. Insecure. Doubting. if we, in fact, let go of anything except God himself. What if we threw off everything- our own personal desires and dreams, our own rationalization and reasoning, our own goals and ambitions, our own doubts and fears, our own frustrations and self-condemnation - and only grasped to God and His truth? What if we took one day at a time and just loved loving God and loved living like it? What if we said goodbye to the past as well as to slavery to the future and just followed Him in the present? but focused on being all we can because He is all we need? Because what if we learn to live like life is good, that the sun is shining, and that we can laugh because our Abba loves us? Life is going to continue to be good, complicatedly beautiful, and beautifully messy whether we choose to enjoy the sun even though it burns and to feel the wind even though it stings or not. We can love. laugh. learn to let go - because we are loved, delighted in, and have our ultimate burden -sin- lifted from us by the cross. Why not, then, learn to live?